These are clips from many different educators talking about the use of open book student assessments. …more significantly would allow students to trade information with each other throughout the test in ways which would be extremely difficult to monitor. classes have moved away from traditional tests and towards project based and/or essay based exams. 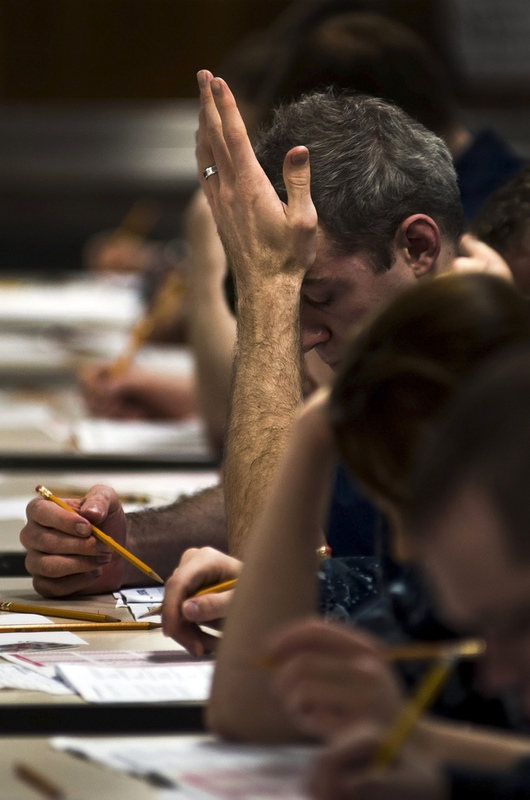 exam duration is set to match the time necessary to answer the questions, without much slack. “for today’s graduates into the digital age, possession of knowledge is far less important than the acquisition, analysis, and synthesis of that knowledge”. I was talking to a senior lecturer here on campus who shared with me his technique for exam grading, that included an element of self assessment for the involved students. How this came about, was from students complaining that they didn’t know what his exams were like. He could confidently state that the exams from the past couple of years were on file for them to look at, but he also acknowledged that looking at an exam, and sitting in the room taking it were in fact, two different experiences. SO, instead of stopping there and having a tough sh*t attitude about it, he came up with something I feel is kind of ingenious. They sit in the proctored room, take the test, and then at the very end, make a decision. They either opt to count the exam as 10% of the total grade for the class OR they say don’t count this test and the weight of all of the other forthcoming exams goes up. And it works. They self assess very well. The ones who opt not to count the exam, typically did poorly, and the ones who count it get decent grades. Plus, they come to the next test far better equipped and have no one to blame but themselves if by the second exam they still fail to prepare properly. Do you have any grading stories to share with me?